Waiting for pathology results to determine the grade of glioma tissue prior to surgery requires time, which can be improved with the use of real-time visible markers. 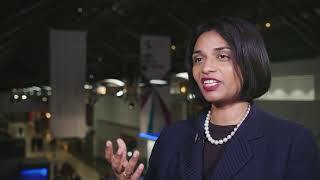 Kathreena Kurian, MBBS, MD, FRCPath (Neuro), from the University of Bristol, Bristol, UK, thinks that the combination of histopathological and intraoperative biomarkers could be the way forward, as she explains here. This interview was recorded at the 2018 National Cancer Research Institute (NCRI) Cancer Conference, held in Glasgow, UK.